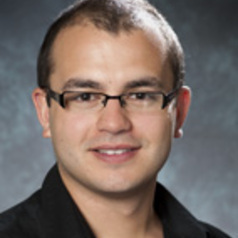 Erdem graduated from Law and Journalism at La Trobe, and has been a journalism lecturer since 2011. For the past 10 years, Erdem has been working at SBS in Melbourne. He started his career with the Turkish language program’s broadcasts and then went on to work for SBS Radio's flagship current affairs program World View (now known as World News Radio), where he covered major stories such as the Black Saturday bush fires. Erdem is currently a sports broadcaster with SBS, where he's the host of SBS's coverage of A-League games. He also hosted and commentated games for the 2014 FIFA World Cup in Brazil. He also works as a television producer for the ABC’s Insiders program, which airs on Sunday mornings. He has also written for a range of other media, including The Age, Crikey and the Walkley Magazine. He is the founding editor of online magazine upstart, which showcases student writing, and provides a platform for emerging journalists. Erdem is currently completing a creative thesis in the form of a radio documentary titled: “A Hidden Legacy: A Turkish-Australian perspective on the Anzac Legend”. He is also contributing to the book "Reconciling Cultural and Political Identities in a Multipolar World: Perspectives on Australia-Turkey Relations", which will be published by Palgrave Macmillan in 2015. Erdem is also involved in performing arts. He has his own band and theatre company.